Are you ready for the Year of the Monkey? The Yang Fire Monkey (Bing Shen) doesn’t arrive until February 8 in 2016 (when the Lunar New Year begins) but the remaining days of the Wood Sheep year provide a perfect opportunity to finish what was started in 2015. Last year, the Contemplative Sheep taught us to consider moderation, teamwork and aesthetics. Hopefully, you’ve assessed your priorities, rested up and discovered your voice because 2016’s Monkey on the Mountain has different plans that will challenge just about everything you thought you knew. This skillful, creative simian is powered by the Fire element this year – promising a faster, more unconventional approach to business, economics, politics and relationships. The optimistic Monkey expects you to meet all challenges head on, so be prepared. If you have not yet cleared your home and workplace, the coming weeks provide a perfect opportunity to do so. 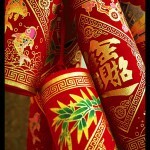 Any clutter or unfinished business carried into the Chinese New Year will hinder your progress going forward. Remember, the energy all around you is constantly changing and many of the tools that were helpful in 2015 are obsolete in 2016. The Year of the Monkey will have many implications for personal and professional growth that you’ll want to take advantage of and I’ll be keeping you posted on what trends to expect. However, if you’d like personalized advice or to update the Feng Shui of your home or business, contact me to schedule a residential or commercial consultation or Four Pillars/BaZi 2016 update. Clean your home and business thoroughly, including basements, garages, porches, attics and storage rooms. Dust, dirt and unused items block energy from circulating. Touch-up or paint walls, clean filters, vents and drains in order to clear blockages and encourage free movement. Eliminate clutter by donating, selling or disposing of items you no longer love or need. Then you will have room to roam comfortably in your surroundings. Organize files, closets, drawers, calendars and schedules to make the most out of your waking hours and streamline your days. There will be many surprises in the Monkey year so keep it simple. Clean out refrigerators and pantries and replace only the freshest and healthiest foods as a commitment to sustainable good health this year. Repair or remove anything that is broken – especially clocks and watches or faulty electronic equipment that keep you stuck in the past. Trim or remove any trees, shrubs or branches that need cutting on your property. Overhanging branches and dead trees sap energy from your home or business. Check all lighting inside and out to be sure fixtures and bulbs are in working order. Lighting helps to lift energy, advertise your business and keep your path illuminated. Remove any hanging crystals and soak them in a solution of sea salt and water. Place them in the sunlight for several hours to absorb yang energy, restring with new red ribbon and rehang. Clean every mirror, crystal and glass fixture in your home or business to clarify and improve your vision for the future. You’ll want to keep both eyes open this year. Remove 2015 Flying Star cures and replace them with those deemed necessary for 2016. Service and clean your automobile, an extension of your home or workplace, for reliable and safe passage this year. Pay your debts and balance accounts so they will not burden you in the 2016. Clean and oil the hinges on your front and rear doors to encourage free movement and welcome new opportunities. Reconcile any disputes you may have with others to prevent negative energy from following you into the New Year. Get a haircut now to prevent cutting into your good fortune once the New Year begins. Clean out and optimize your computer files and drives which are an extension of your paper files and contain electronic clutter. 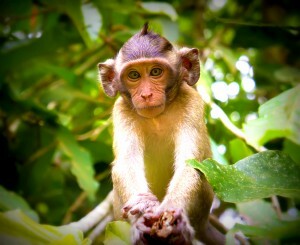 Change your passwords while you’re at it because the Monkey is known for cunning behavior. Remove your front doormat and those to all entrances of your home or business. Place a brand new one on Chinese New Year’s Day (February 8.) Old doormats contain the energy of the previous year which finds its way into your building on footsteps. Follow Wind and Water on Facebook, Twitter, Instagram and LinkedIn for reminders, updates and auspicious dates for activities and hold on for the ride!